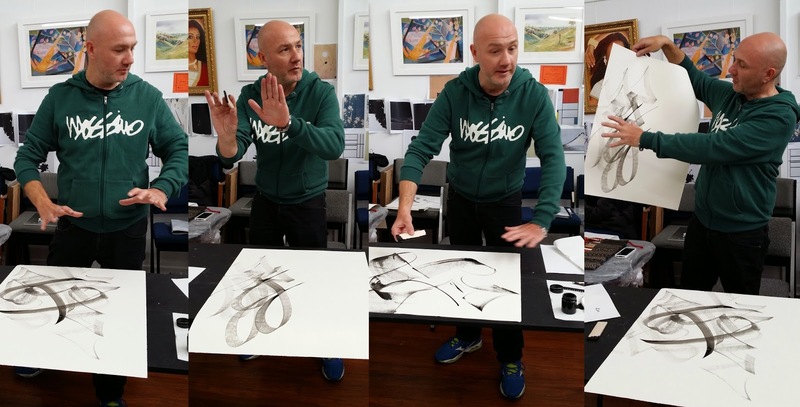 Massimo Polello has gone on South after a most instructive, motivating and exciting workshop with us and the effects of his teaching will resonate for some time. I would like to thank Margaret and Dale for their photographs, stopping in the midst of their own work to take photos for reference and for those who did not attend. We have been spoilt for choice. Fabulous, frustrating, fun, fascinating, fast, fatiguing, friendly fellowship, and FANTASTIC!! Left: Massimo using the syringe. Right: More layers. And lastly for this post some of Massimo's demonstration pieces. Next week there will be some of our members workshop trials, tests and attempts along with (hopefully) a few more individual reports.